We had a wonderful walk up on Bollihope Common this morning. Curlews were calling, Peewits soaring, skylarks singing and a Dipper nesting underneath the bridge over the Bollihope Beck. We didn't see the White tailed Eagle which all the twitchers were chasing. I think it's moved westward higher into the Pennines. 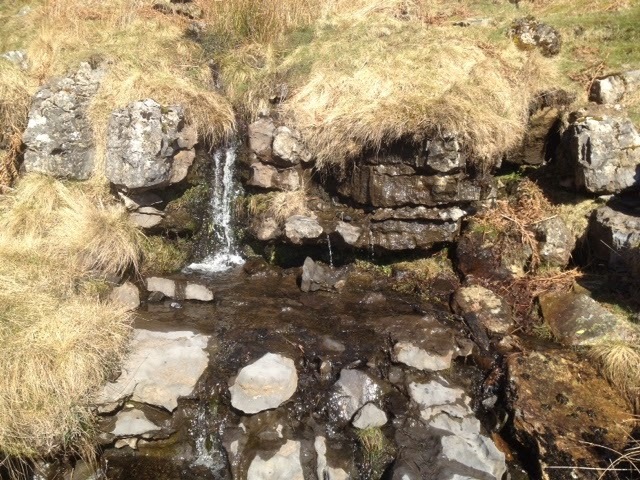 We did find a lovely waterfall where a side stream tumbled into the beck. Later we saw a Peacock butterfly on the moor and several Small Tortoiseshell in our garden. At the end of a beautiful warm spring day I picked up my first Pipistrelle bats of the year on the bat detector as the stars came out in a cloudless night sky.